When Suma of 'Cakes and More' asked me to do a guest post, I readily agreed. This is a special post for me, as it is my first guest post.I am sure most of you know her but still, I would like to say that if you have not seen her blog, please check it right away,you would be amazed with the collection of recipes, especially the bakes-cakes and breads which aptly suits her blog name.I always wonder, how one can be so passionate about baking even the regular breads on a daily basis. I admit that even though I love to bake breads, my laziness wins over me every time and hence my baking is limited to only once or twice in a week.I like her blog for one more reason-her detailed posts. You would get all your questions answered while you go through her recipes. When I asked her preference for the guest post, she mentioned that a Rice or Snack variety would be nice. 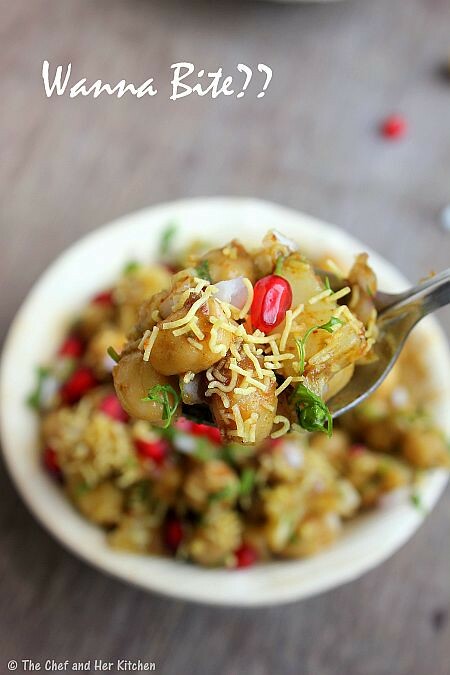 After running through a couple of ideas, I decided to firm up on Aloo chana chaat. Now hop on to her blog here, to see the complete recipe. 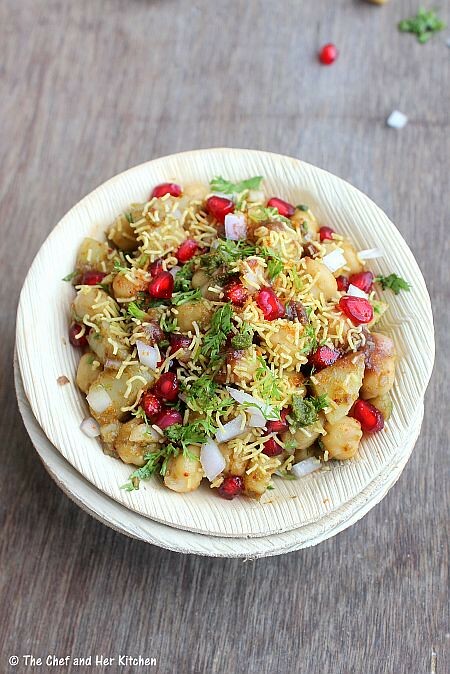 Before you leave I would like you to taste a spoonful of my Aloo Chana Chaat and while munching hop on to her blog to know how I made it. Can I have a plate sent my way? 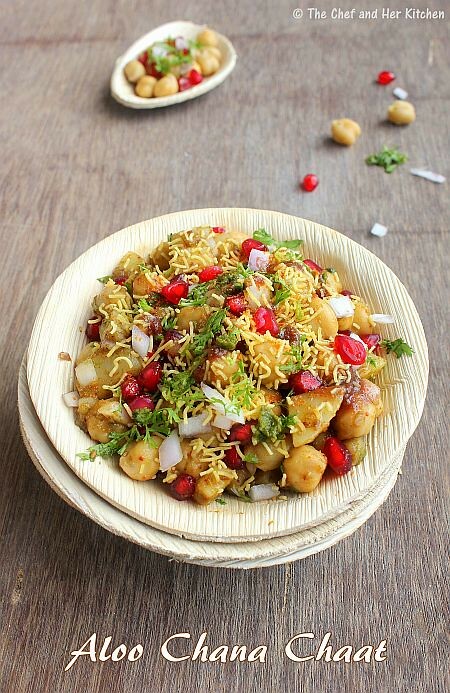 After all the festival food, I want something chatpata and yummy, this fits the bill perfectly! Well done Prathibha. Great post just hopped from Suma's to tell you that. I really liked your recipe..looks so good. Colorful and delicious. Cant wait to start preparing it..Lovely one. I want one plate as well! 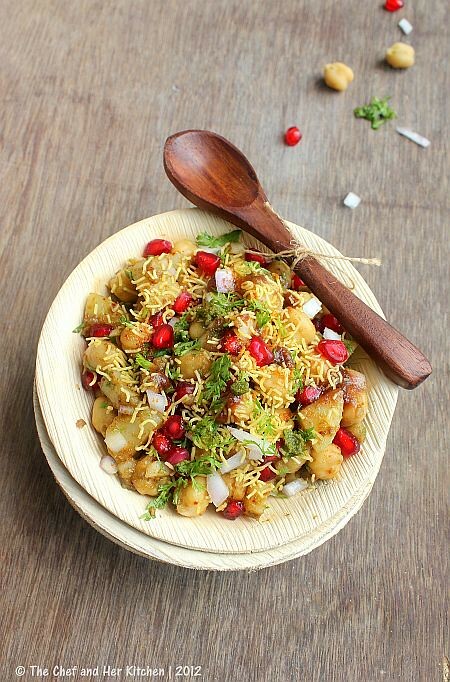 Who can resist this tangy chaat! U r tempting us too much. .... Ur poor blog readers. We r all salivating. pls pass on that plate dear. Yummm. Just had the chaat from the local Indian fast food place 2 days ago. Looks amazing. I love the wanna bite photo, would not mind having the whole bowl, bite is too little for me. Looks so tempting!! 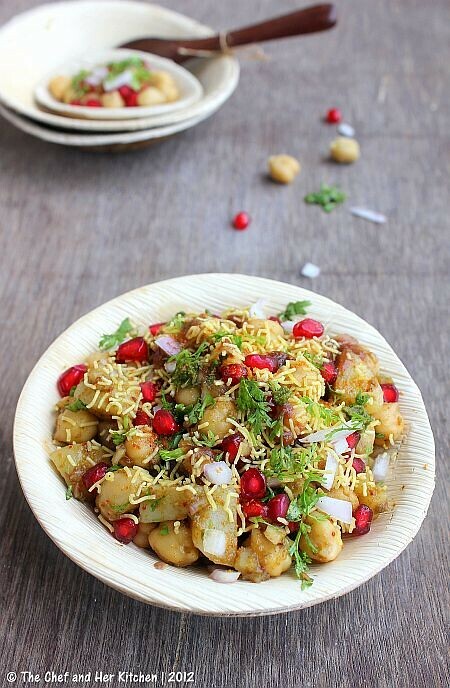 Oh how I adore chaat! Ohh the good old days.. the colourful fates and Melas..
very colourful and lovely post !